Most readers would be aware of Lt Gen S Pattabhiraman, PVSM, AVSM, SM, VSM, who retired as the Vice Chief of the Army Staff and was later appointed as Member of the Chennai Bench of the Armed Forces Tribunal. Commissioned in 1966, the General retired in December 2006 after rendering 40 years of service to the nation. Besides holding an engineering degree and MSc in Military Studies, while in service he also attended many other prestigious courses including one at Harvard. He also served as our defence attaché to Turkey. Personally speaking, I have the highest regards for him since all problems related to veterans and widows pointed out were duly taken care of by him with utmost sympathy. While in service, he was also known to personally reply to such issues and take effective measures rather than leaving it to his team of staff officers. One example of his sensitivity towards such matters related to a WWII veteran can be read by clicking here. After rendering remarkable judicial service in his second innings, the General retired earlier this year and has been kind enough to put his experience into words for the benefit of serving and retired defence personnel in the form of his ‘reflections’. The book can be downloaded from this blog free of cost by clicking here. Thanks a lot for pointing out. m apologetic to differ from the subject. hope u learned ones would forgive. i request u all to educate me on a issue. thats, is there n e rule (in black and white) which bars PBOR to write and "use" there rank after retirement with their name, as officers do. thanks in advance. please correct yourself..becos even NCOs & JCOs are oficers. u all have to pardon maj navdeep since he has spent very tillte time in faug, afterall he is "jhatka"
@Maj. Navdeep : is that correct sir ? Is it true that in 1962 and 1965 PM use to write a letter to the family of all those who made the supreem sacrifice for the country. What is the Status now? wt is the average time period in which a family of an individual gets his dues after his death? 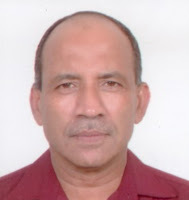 i would like to intimate u regarding problems being faced by all officers and mens of Andaman & nicobar Command. pls educate me on this issue. post implementation of VIth pay commission the clarification was sought from ADDl Dte Gen of Movement/Mov C, Dte General operational for whether the parents are entitled for LTC under rule 177B/177A from duty station to home and back as well as from home/leave to duty station and back. this matter was refereed to o/o the CGDA by ADG move who have agreed for the admissibility of the same vide CGDA note vide UO no AT/IV/4462/PC-V dated 12 Apr 10. subsequently command has issued order on this. initially PCDA (N) has passed claim in this regard but now they returning saying it is not allowed.even i have put up RTI but i did not get fruitful result. at least thousand of claims have been returned and we r helpful. i ready to fight against these babus. pls help me. if u want i will give more documents on this issue. You Said," u all have to pardon maj navdeep since he has spent very tillte time in faug, afterall he is "jhatka". You seem to have spent long years in the Org alright but you don't even seemingly know the correct spellings of fauj. Anyway, thanks for letting us know your real worth! @ harry.... i fully agree with u.these sort of comments r not the order of the day. in a.f's there r/were dare devil personalities. the good work done by lt Gen Pattabhiraman is exampalary.the order of the day is v r in need of such personalities.